Executive chauffeur driven transfers Aaa cars offer an Executive chauffeur driven airport transfer service to and from London Heathrow including Luton airport Gatwick airport and Stansted and city airports. 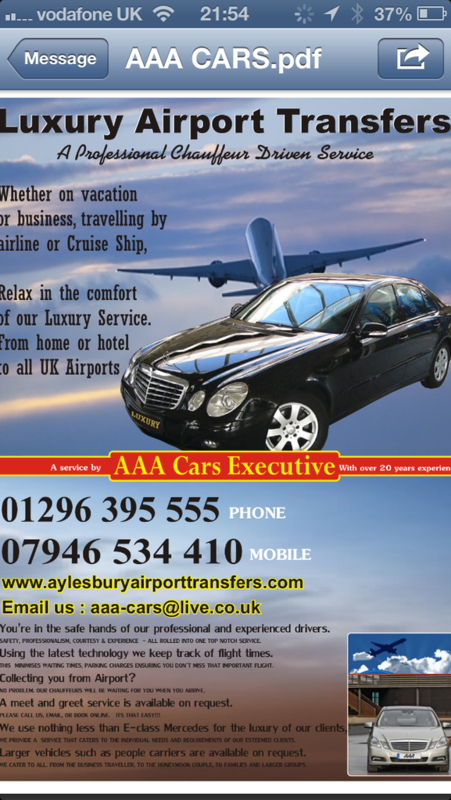 Aaa use e class Mercedes for the comfort of all important clients, covering Aylesbury Buckinghamshire and all surrounding areas for medium and long distance travel. A luxury prestige service at the price of a cab. Please call for a price or even enquire online. Email or text for a prompt reply.